Finally got the emoji app!! @SabrinaGombauld good! v busy atm but just one more week till I go on holiday!
" من قرأ سورة الكهف في يوم الجمعة أضاء له من النور ما بين الجمعتين "
Natutuwa ako sa emoji. HAHAHA! 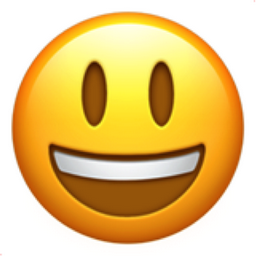 Like Smiling Face with Open Mouth Chronological Emojitweets 45?